As I walked back to my mat it occurred to me that many people may not wash their yoga mats, may not know how, or where to begin. So, I thought I would share with you how I keep my mat clean. Why wash your mat? Well, if you think about it, you put it on the ground, where everyone’s feet have been walking around all day. Then, you lay on it, put your face all over it, put your feet on it, and generally roll all around on this thing during class. I have no scientific research to prove that there are probably germs all over it, but common sense tells me it is something that is probably dirty, and I should probably wash it. Note: Please check if your mat is biodegradable. If it is, this method is not for you. If you submerge a biodegradable mat in water … it will most likely disintegrate. I start filling my washer with hot or warm water. 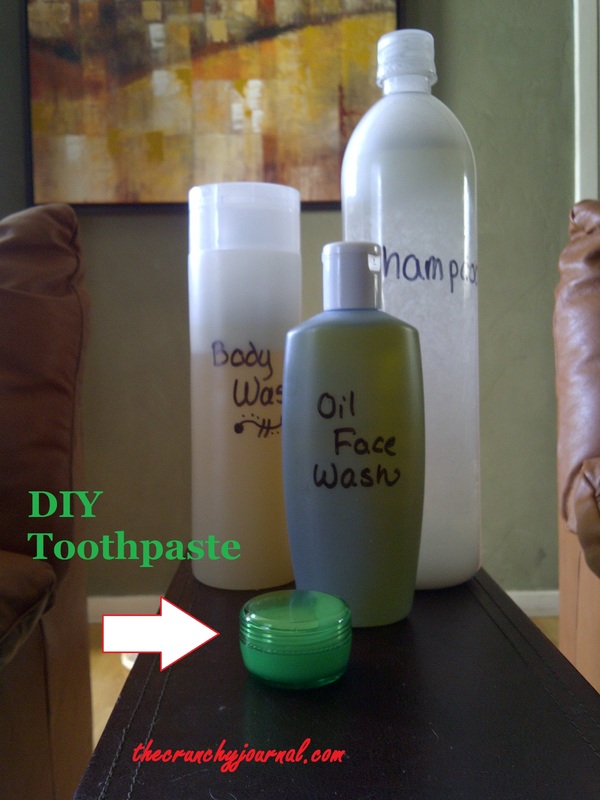 I then add about 1/3 cup of my natural laundry soap. Next, I add my natural fabric softener to the rinse cup. My fabric softener also doubles as a disinfectant. I set my washer to a normal wash.
Once the wash cycle is over, I hang my yoga mat to dry. I am fortunate enough to have a drying rack, I just lay it over the top and let it air dry. If you don’t have a drying rack, you can put it over the shower rod, or even over the top of a door to dry. 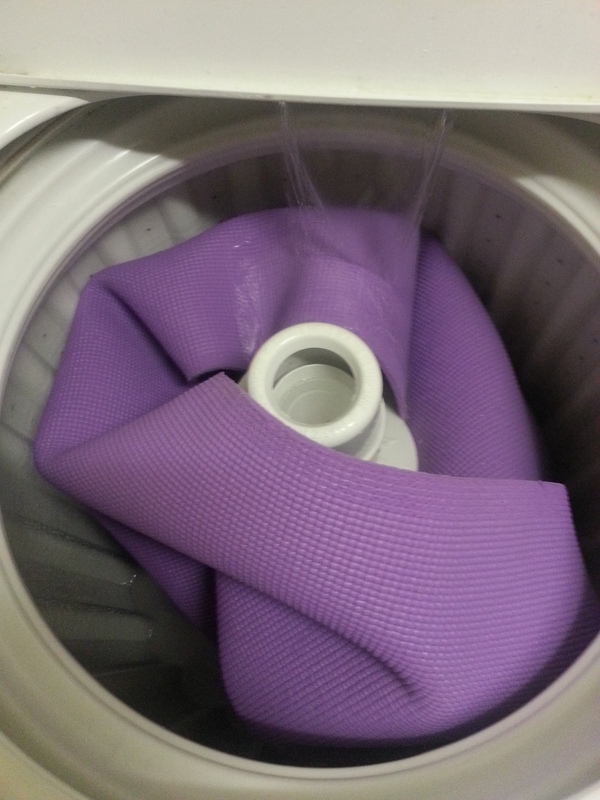 Do you wash your yoga mat??? If so, please comment below and tell us how you do it!